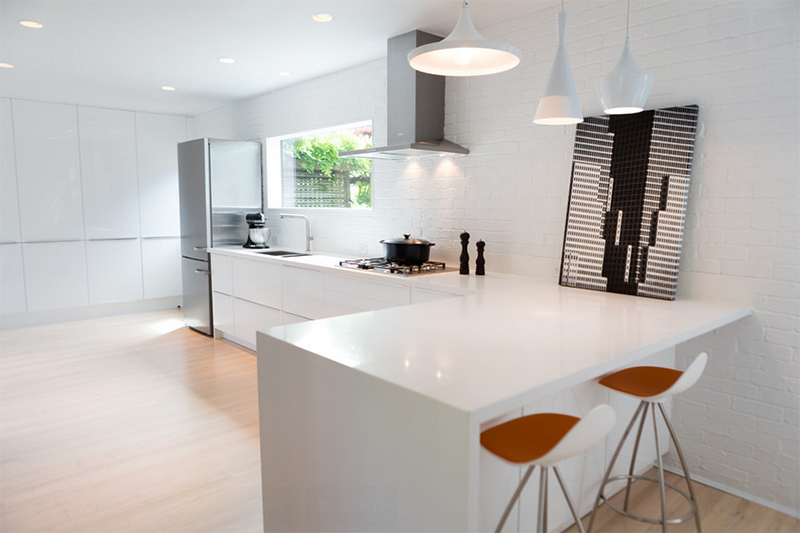 Curious on how a white brick wall will look like in the kitchen? Here is a list of some ideas. Some interiors that are updated or renovated have accent walls that are part of the original home, just like brick walls. 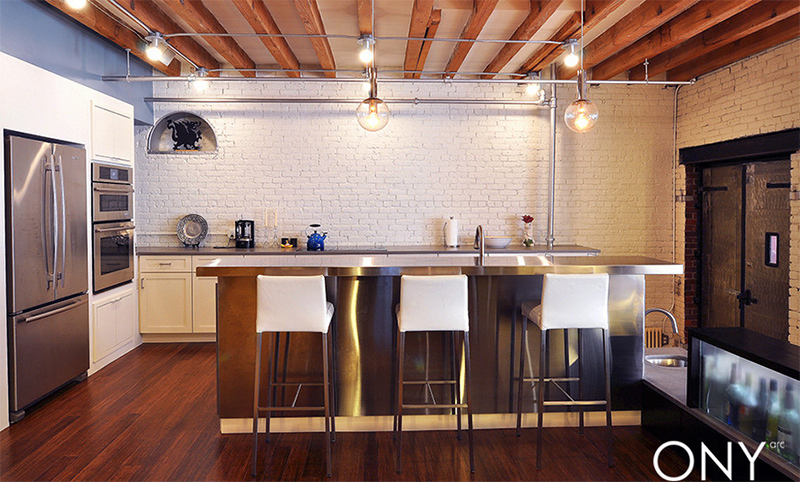 While others intentionally add brick walls to give it a warm natural feel. Still others take some steps to personalize the look of the bricks by painting them. Most of them would be painted white while some would have that washed color. There are also white brick walls that can be bought from the market. You just need to decide on what you want. 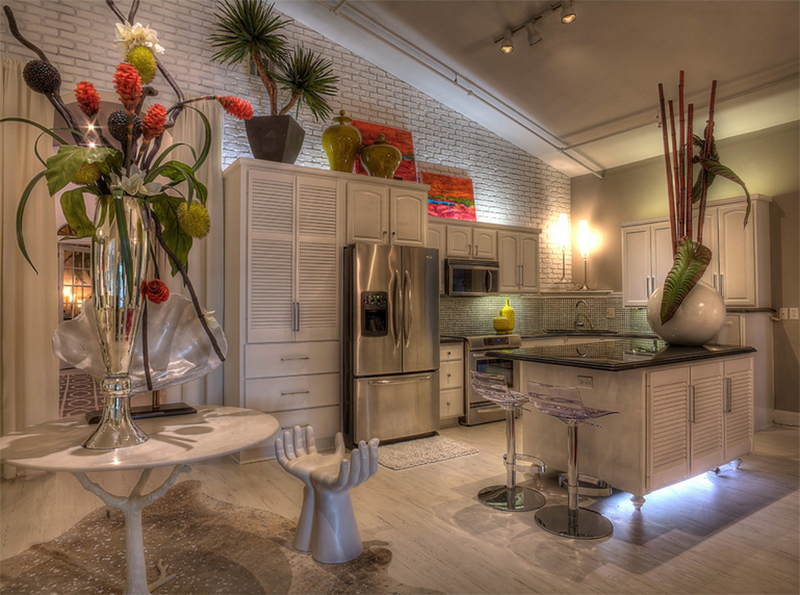 Whatever that is, white brick walls look awesome in the interior in all the different areas. We have shown you before how white brick walls were used in the living area. Today, we will show you how it looks like in the kitchen. I can tell that some of the kitchens really had brick walls in its original architecture and were merely painted. But others just added it to the wall as an accent. The result of this feature is a beautiful, artistic and natural aura that is sent all throughout the kitchen. Let us take a look at the kitchens below that sport white brick walls in it. In this kitchen, the walls are treated differently. One wall has green color while another has brick walls. Another one has a different texture where a sunburst clock is installed. You can try doing this for your kitchen walls too. 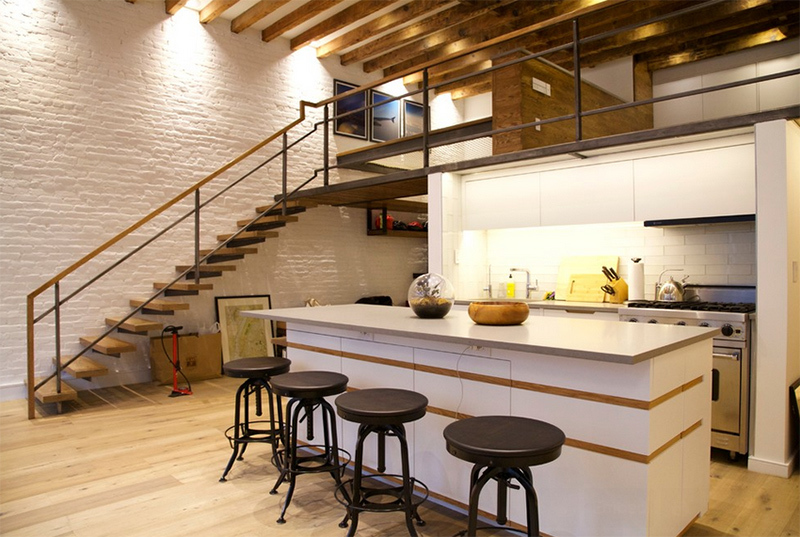 A loft renovation wherein the bricks were painted white and is a good backdrop for the kitchen and other spaces in the house. A traditional kitchen with browns, golds and brass accents. The white textured wall is a good way to bring more depth to the kitchen’s look. The wooden table with white chairs look really nice together just like how the combination of plain white walls and brick walls jive well with contrasting texture. 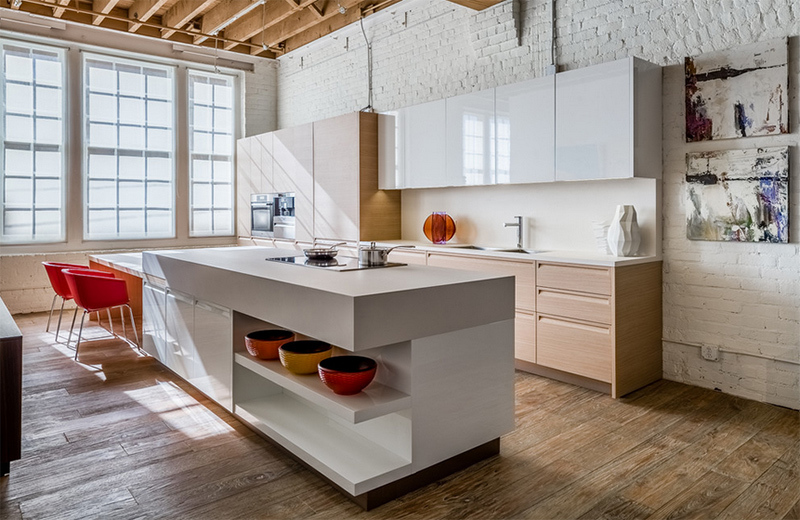 The glossy cabinets and kitchen islands are a good match with the white brick walls in this kitchen. 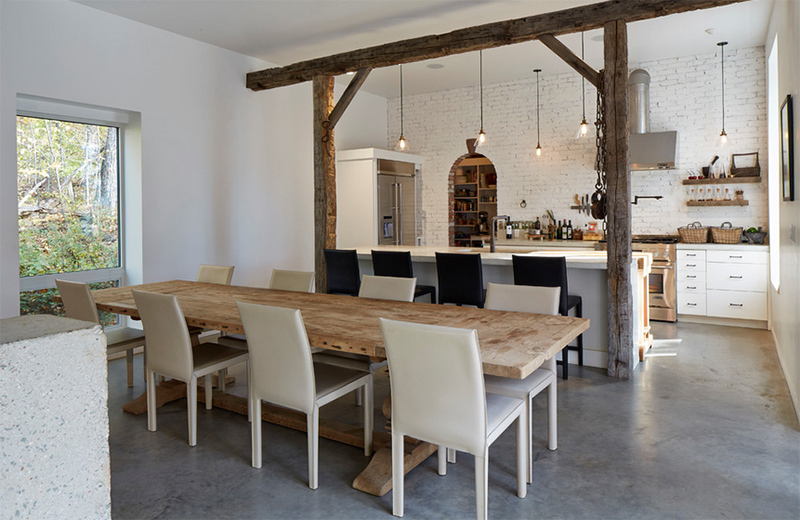 The ceiling has exposed wooden beams that give it a subtle industrial feel. 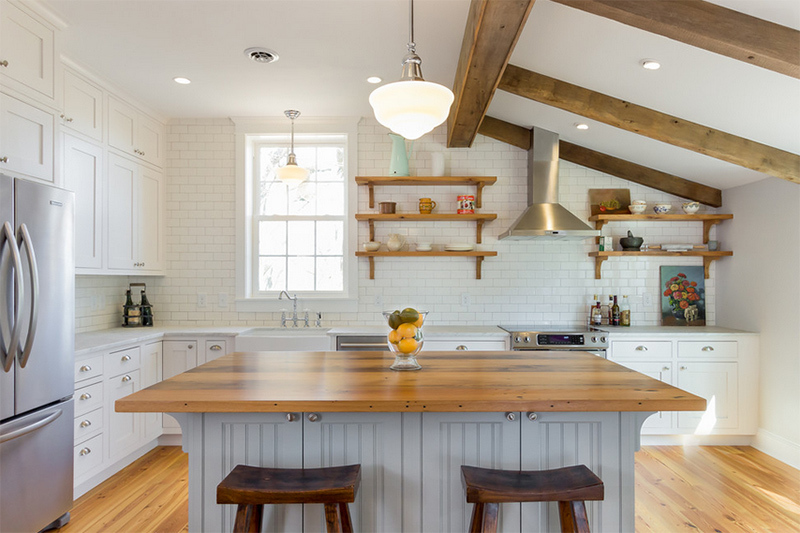 With the looks of the ceiling and wall, you can tell that this kitchen has a rich history! 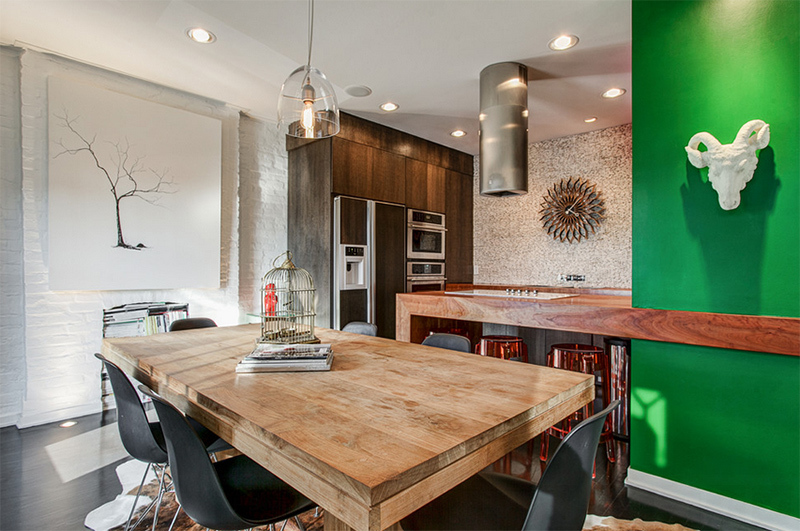 Love what they did to this one especially the green cabinet with built-in oven. The kitchen used wood in most of its furniture and even on the ceiling and flooring. I like it that the ceiling protruded downwards just near the range hood. And yes, this one has white brick walls to that complemented the area. 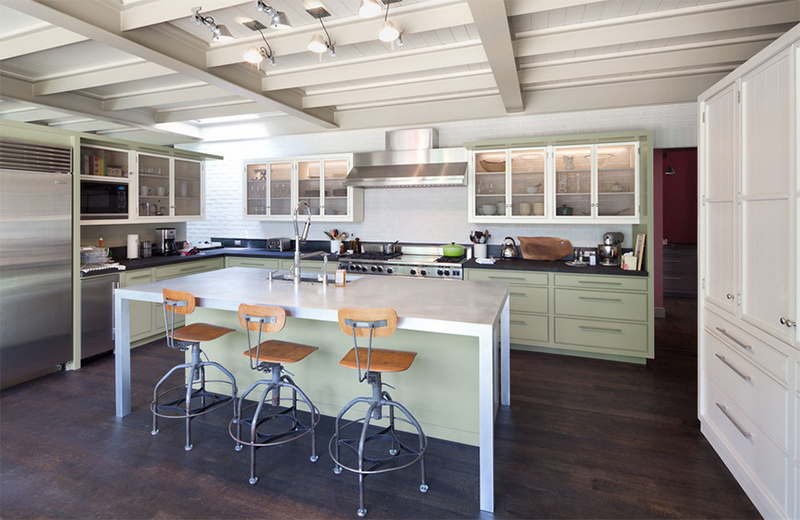 Interesting white kitchen with subtle light green accents on the furniture. Hanging cabinets are installed on the brick walls. I could say that this kitchen looked like a combination of modern and traditional design. The walls and the cabinets are traditional in style while the appliances and equipments were all modern. Such a beautiful and cozy space to cook and dine. Notice the pots that were hanged on steel on the wall. It seems like it is also an added decor to the area. The backsplash used white brick walls which were also used in the column as well. 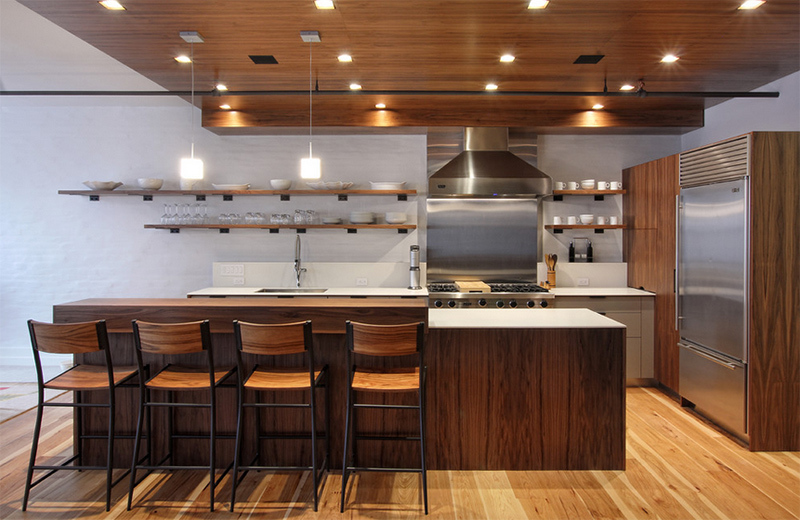 Wood is used for the furniture in the kitchen as well as for the kitchen island. Look at that pendant light- very unique, isn’t it? You can feel the warmth in this kitchen from the walls to the floors. On the wall runs a floating wooden shelf that holds some kitchen decors. 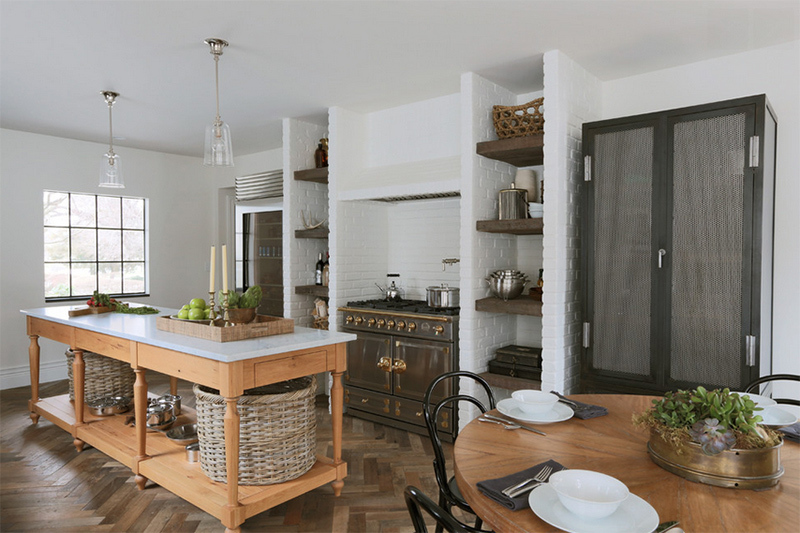 A traditional kitchen used brick walls to create shelving and partitions. Nice idea, right? It has shelves on both sides while the range went in the middle. That pendant light is stunning in orange and white. 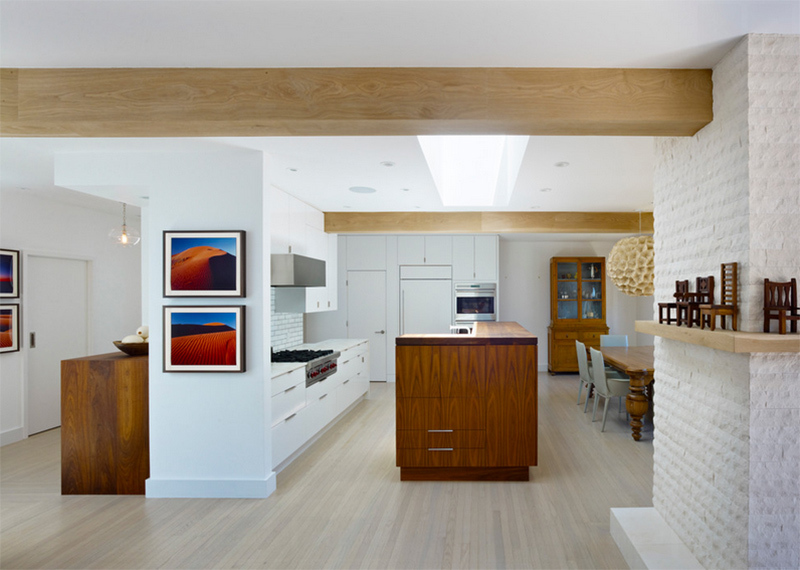 Wooden cabinets and kitchen island with white countertop were utilized in the space. The white brick walls has a huge impact to the area. Of course, you would expect walls like this for an industrial kitchen. 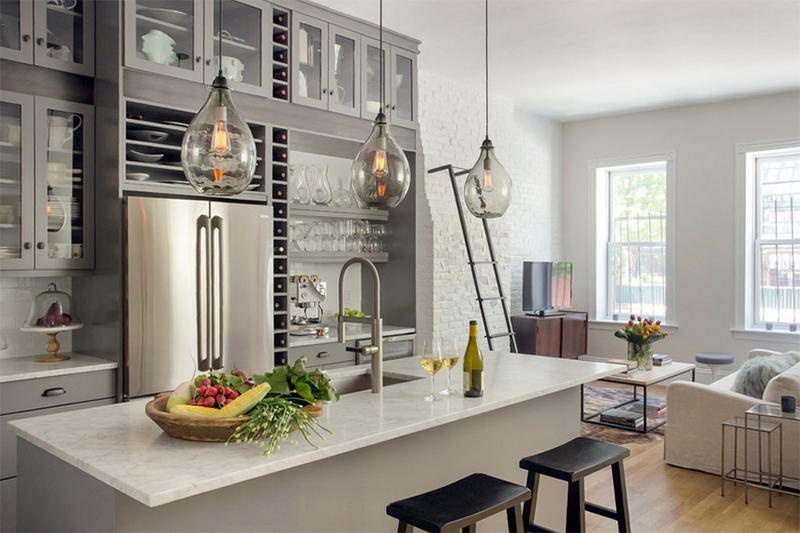 What I like here are the lights as well as the cabinets with wine storage. 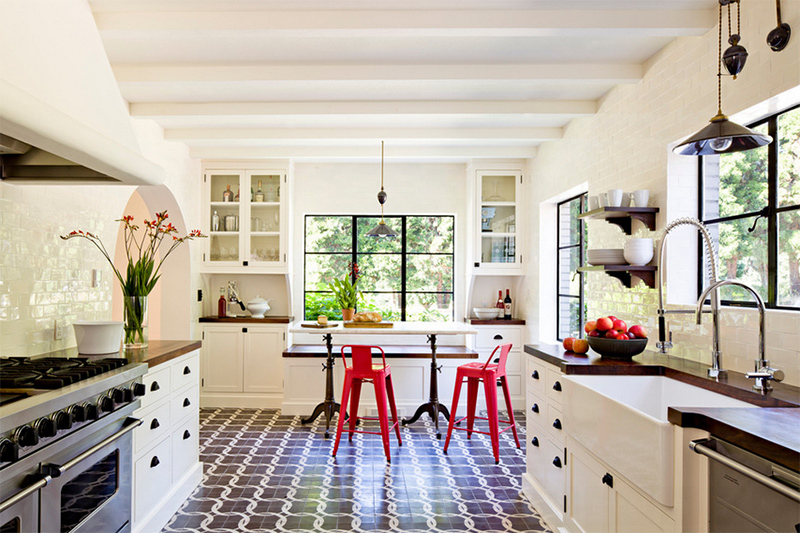 Geometric patterns in black and white are used for this kitchen white glossy brick walls. The chairs add some pop of bold colors into the space. Wooden details match well with the walls as well as the white cabinets in this kitchen. 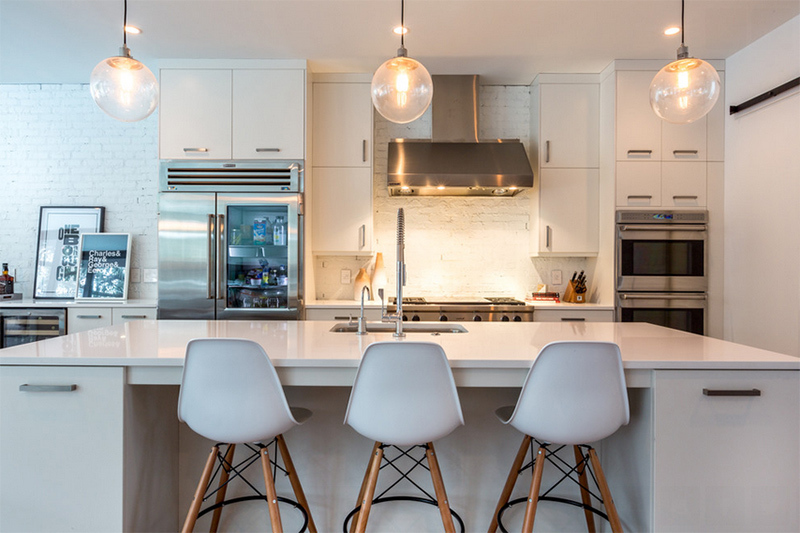 Adding a pendant light is a good idea to bring beauty to the kitchen. This kitchen has hanging cabinets on the white walls that are covered with bricks. The shiny texture of the countertop is a good contrast to the walls. 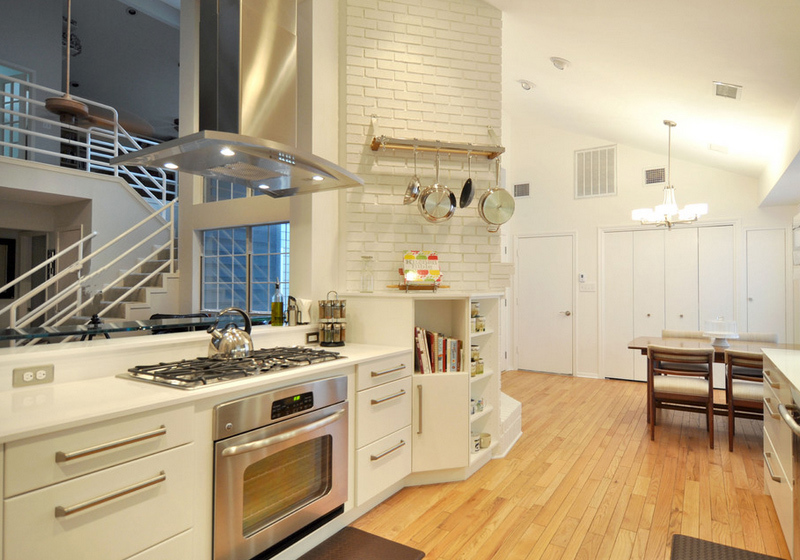 This one has a both the plain brick walls and a painted white brick wall where the range hood and cabinets are hanged. This long and narrows kitchen has everything one needs for food preparation. What a neat white kitchen! 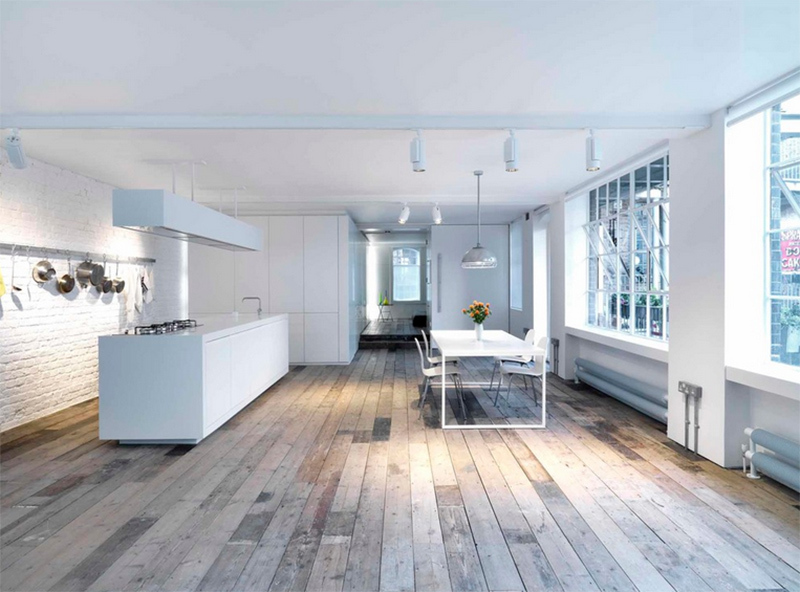 Even if it used white brick walls with an uneven texture, the entire look of the space is still beautiful. Interesting artwork is added on the counter too. The spaces above the cabinet of the kitchen were used to carry decors and displays. You can see some painted artworks as well as large jars. Cabinets were added to the brick walls part of the house. Note that the kitchen island is lighted too. And another thing that is very interesting here is that hand shaped chair! This modern kitchen has a simple design which allows the materials to complement each other from the stainless steel counter and the existing wood beams above, and the dark bamboo floor and the white brick walls. What can you say? 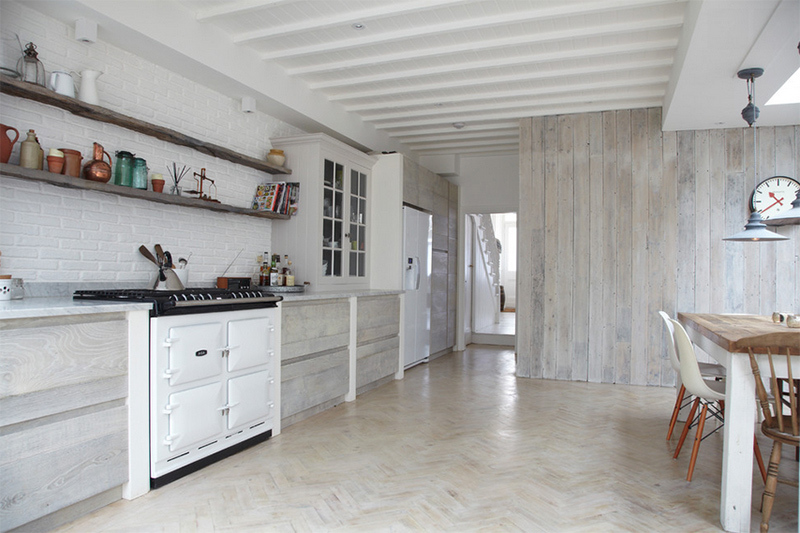 There is indeed a different effect when white brick walls are added to the kitchen. It brings some freshness to the space especially because of its texture and color. 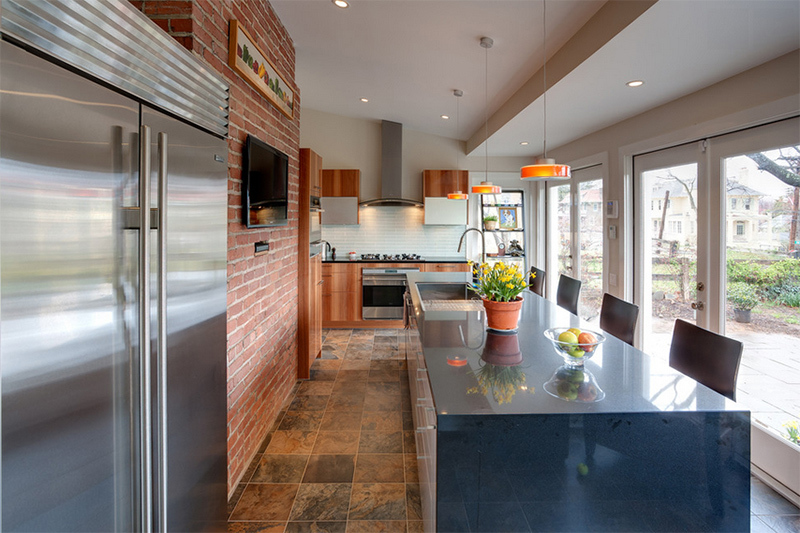 Aside from the accent wall in the kitchens, you can also notice that the layout in each one is well-done wherein modern appliances and equipment were added into it. This shows us that no matter what the design of the space is, function matters the most. Apart from the equipment and appliances, a variety of decors were also added in the kitchens. Indeed, there are more than one ways to decorate and design a space!